Especially designed for small pets!Your pets will love Fine Fresh silica litter because it is gentle on paws and effectively absorbs and neutralises odours. Sanicat Multipet Fine Fresh Cat Litter is dust-free and does not stick to paws, keeping your home clean. Its extremely high absorbency of 200% will keep the cat litter tray hygienic and clean and prevent odours. 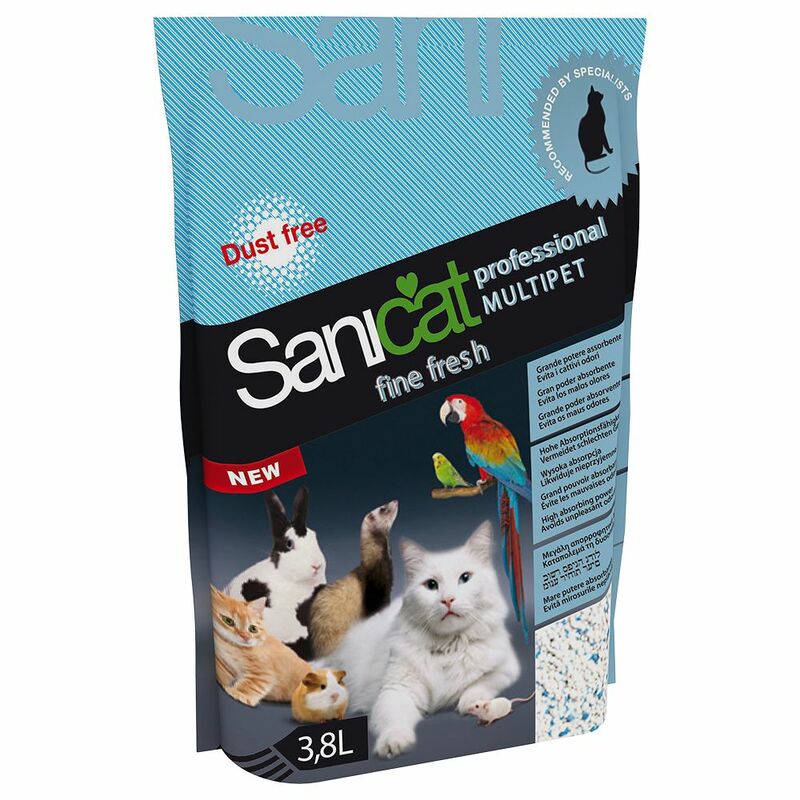 All advantages of Sanicat Multipet Fine Fresh Cat Litter at a glance: Especially high absorbency of 200% Dust-free Complete odour control Extremely fine and compact Gentle on paws Changes colour progreΒively and shows you when it's time to change Convenient and safe Silica product.